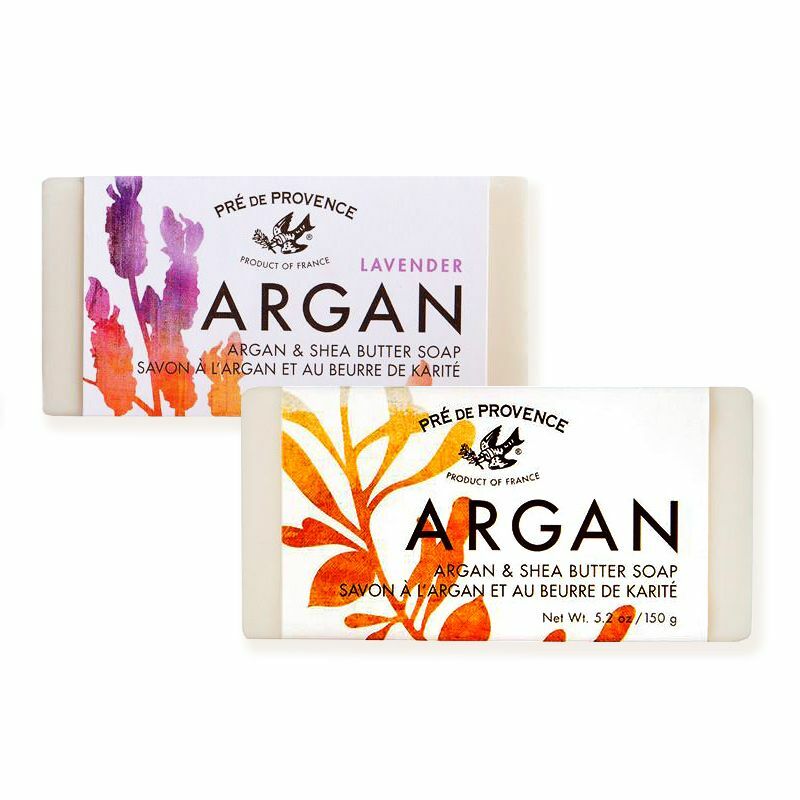 This soap duo combines two of nature's super-moisturizing ingredients - argan oil and shea butter. Take in the hydrating, nourishing and protective benefits while cleansing your skin naturally. Enjoy the luxurious indulgence of rich lathering with instant skin softening. 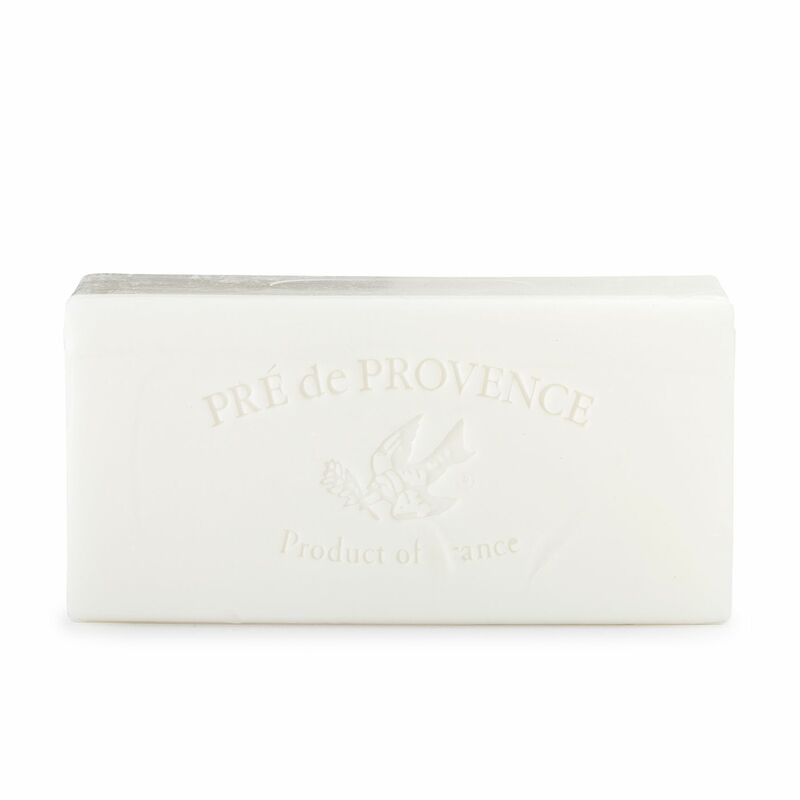 Choose this long lasting quad-milled, hand-cut soap from Pre de Provence for the ultimate skin indulgence of creamy lathering with skin softening. Offered in creamy or exfoliating (with argan nuts shells to scrub away dead skin cells) and in a soft Original Sweet Orange or Lavender scent. What a great way to start the day. As one of nature's most powerful antioxidants, Argan Oil helps to soften and moisturize skin for a radiant glow. Shea Butter is the ultimate natural moisturizer. Combine with calming, herbaceous lavender oil, and feel your skin being soothed and your well-being naturally calmed. 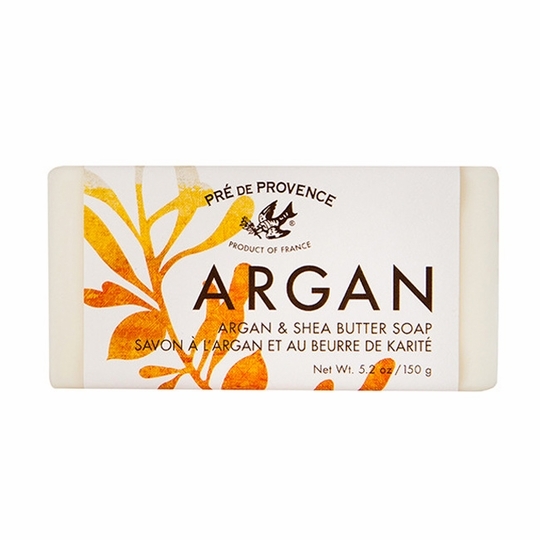 Prized for centuries in Morocco, rich, nourishing argan oil is incredibly moisturizing and filled with antioxidants. In fact, it has over twice the Vitamin E of olive oil. Its skin and hair-repairing properties are legendary. You can use the oil straight, ideally on damp skin after a shower. You'll also see it blended into soaps, moisturizers, and bath oils for a super-nourishing skin cocktail. Argan oil is reputed to help heal and minimize acne, stretch marks, and scars and is great for adding shine to hair. I love these soaps and used to buy them by the case when I was first married. My husband loves the Sage. It exfoliates, moisturizes and smells fresh and perfect for men and women. ProsEasy ordering online. Would love to see any specials or discounts on buying a dozen. 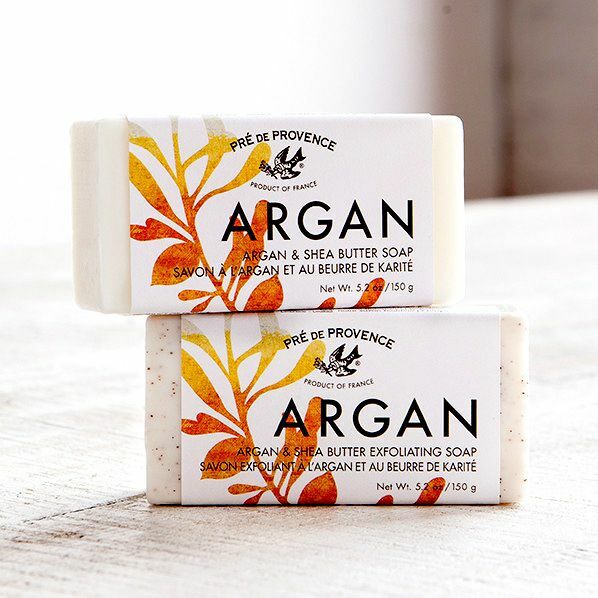 This soap smells great, it's vey sudsy & is wonderful for dry skin.